Stream and buy beats with hooks from the player below. DISCOUNTS are available. “Wanna Know” is an r&b instrumental with hook that has trap and hip hop influences. This beat is the best of both worlds. The hook on this is fire which makes the beat potential top40 material. Don’t miss out on this mega hit! “Demons” is a dark instrumental with hook and electric guitar. The vibes remind of Post Malone, Tech N9ne or even Eminem. Clearly, Demons is an instrumental people love as it get’s a hell of a lot attention on Youtube. “No Apologies” is a dark and angry type beat with hook with a sound that reminds of Eminem or Hopsin. It’s very melodic and has the potential to be a very big record. “We Working” is a killer trap beat with hook in the style of Kevin Gates. With this instrumental you’re almost certain to make a hit. Press play in the player below and get ready to be blown away by this beat’s blasting 808s and hard trap drums! “Feel Free“First of all, this trap instrumental with hook is a straight hit. None of the beats with hooks on Soundclick can compete. Let’s face it. You won’t find trap beats with hooks that like you will on Omnibeats.com! Why Buy Beats With Hooks at Omnibeats? First of all, beats with hooks are a specialty of ours. We have a wide variety of tracks with hooks available. You can count on us to provide professional beats with hooks for sale only! Although trap beats with hooks are our specialty, we provide tracks with hooks in all genres. In addition, Omnibeats provides straight quality. Over the course of 2016, we received 2 gold and 2 platinum plaques for our production. 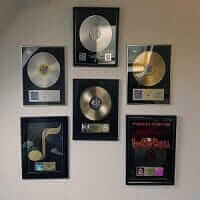 We have sold millions of records with the likes of 2 Chainz, BoB, Tech N9ne, Kid Ink, Juicy etc. Yes, indeed. Want to get value for your money? Then buy beats with hooks at Omnibeats!